It can be a real problem trying to solve drainage blockages and other issues. Dealing with blockages isn’t a pleasant experienced. Drains will eventually be blocked, especially if we don’t have proper filter installed. Blocked drainage could result in overflows and slow drainage may cause some degree of flooding in or outside our house. So, we should immediately unblock the drain quickly. Unblocking the drainage system can be a rather difficult thing to do. If the blockage is located somewhere deeper in the plumbing system, it would be very difficult to remove the obstructions. Blockage should be removed immediately, so we will be able to restore the functions of our plumbing system. 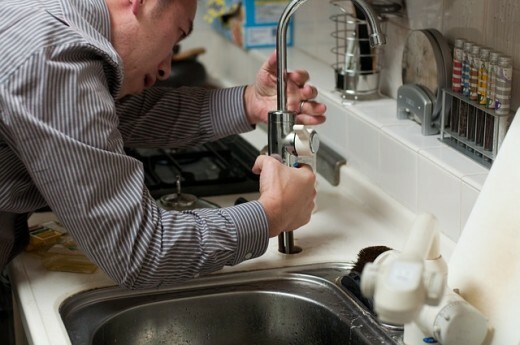 The plumber should have a high level of knowledge and expertise to unclog the plumbing system. It may be necessary to bring state of the art equipments to fulfill the task as quickly as possible. There are a number of steps that we should follow when we are dealing with blocked plumbing system. The most important thing is to avoid causing the problem to get worse. It is also important that we have the proper safety tools and equipments. The first thing to do is to remove the manhole cover. We may need to use the key to lift the cover. After opening the manhole cover, it is likely that we are not able to see clearly inside. In this case, we may need a drain camera to find the blockage. If the blockage is located near the manhole cover, we may be able to use a drain rod. However, we should know that the blockage could be found deeper inside the pipes. If the blockage can be reached with the drain rod, we should turn the rod to either clockwise or counter-clockwise direction to destabilize the blockage. When attempting to clear the blockage, we should keep on pushing into the affected pipe, until water can get through again. For more solid blockage, some amount of physical strength is needed. The problem could become more serious if the blockage happens on the pipe bends, because we can’t fully push the blockage out of the way. It is a good idea to invest on a commercial jet washer that can push high pressure water into the pipe. After the blockage is cleared, we should know why drains can get blocked. Eventually silt and grease would accumulate inside the piping network. It is a good idea to install filters on the drain. It is important for us to be completely familiar with the early signs of blockage. If we ignore these signs, we could have a much larger problem in the end. Common symptoms of blockage are overflowing toilet pans, strange gurgling sounds and unusual smells. Sunks and wash basins could also drain much more slowly. If these signs are ignored, we would discover more serious problems in the end. In fact, blocked piping network could result in higher health risks. The kitchen could be contaminated by backflow from inside the piping network.